Wasn't the Lilly celebration a blast yesterday? I can't wait to see the KoP Lilly Store in person! Oh my word! I've had this post sitting in my drafts for a few days and thought today was as good a time as any to share! 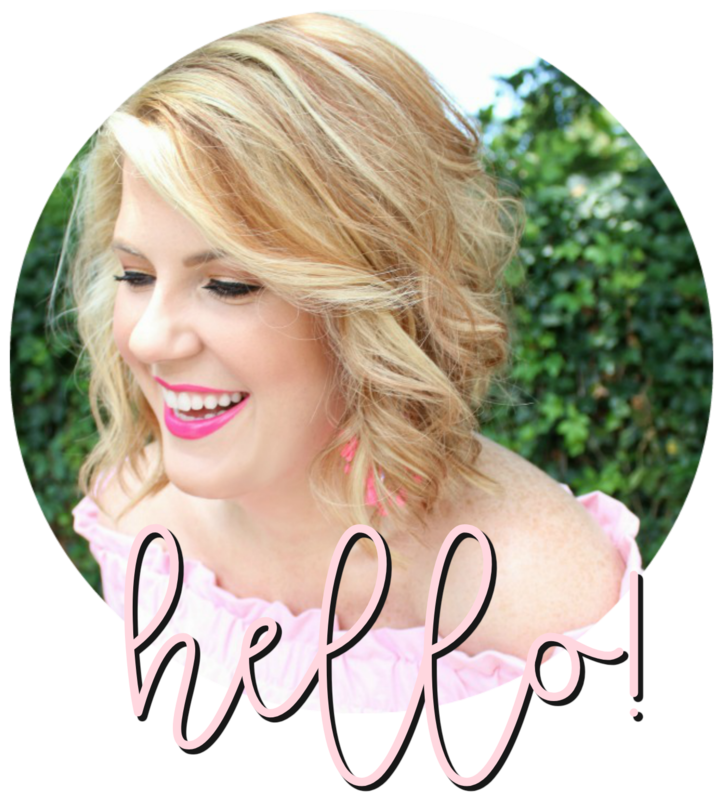 I thought today I would do a little review of some of my favorite beauty products, aka things I use everyday. I snagged this idea from Busy Bee Lauren. I love to find out what products people are using, don't you? If you want, feel free to share your fave products too! I've talked about this moisturizer (Nurtura by Avon) before, I swear by it. I use it twice a day, morning and night. It has such a fresh smell too, and makeup goes on so smooth over it. Promise! I've used many variations of Dove body wash, but this one is definitely my favorite. My favorite scent is the Nectarine and White Ginger, yummy. I don't know how many times I've mentioned Bath Junkie on this blog, but I can't say enough good things. I love all their products, but their scrub is by far my favorite! You can immediately feel the difference in your skin after you use it! Not to mention, you can create your own scent for it! In case you haven't noticed, I love bright lipsticks! The pink one is Lancome 'Cocktail Dress' and the red is Rimmel Lasting Finish 'Temptation.' These are two of my favorite colors. If one person has ever been obsessed with two products it would be me over these two. Maybelline Colossal is the BEST mascara I've ever used. I don't have naturally long eyelashes, but this stuff makes them look so glamorous. The L'Oreal Telescopic Liquid Eyeliner is the perfect combination to the mascara for a pretty day or night look. Burt's Bees. Addicted. Enough said. I have been using Matrix Mousse for as long as I can remember. It gives just enough hold. Aussie 'Aussome Volume' is my favorite hair spray that I've found. It doesn't take much to hold your style all day. I love nailpolish. I try not to be nailpolish snob by only using OPI or Essie. I used to think that you had to use expensive brands for them to last. That was before I discovered that first little bottle. If you don't own OPI's Chip Skip get.it.now. Run don't walk! It will hold your polish for days. I promise. This is Petites 'Blue Frost.' If you're ever uncertain about a color and you want to test it out without spending a lot or getting a full-size bottle, Petites is the way to go. That bottle on the end on the right only cost $1.50, and I LOVE it! This was my color a couple weeks ago. 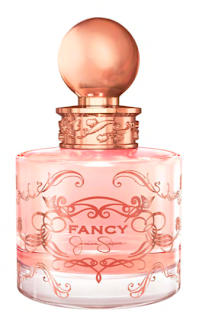 I know I posted about this perfume (Jessica Simpson Fancy) last week, but it's my new favorite scent. I saw this on another blog and I can't remember which one! But, I took your advice and tried it and love it! So, to accompany my beauty products here are some fabulously beautiful photographs that I've collected lately. Tell me some of your favorite products! I'm always looking for new things to try! FYI: Something is going on with blogger and my blog. For some reason the updates are delayed. VERY delayed. For example, I published this post at 9 am and it didn't show up on my dashboard or google reader until 12:30. The post is there on my blog, but the updates aren't happening immediately. Can anyone help me with this problem? Has it ever happened to you? Did any of this make sense? I'm definitely going to have to look into that Bath Junkie goodness. No wonder you're so beautiful. You are an expert at it! I'm dying to expand my nail polish collection. I'm developing quite the addiction! When are you coming to visit me, I mean, Bath Junkie? 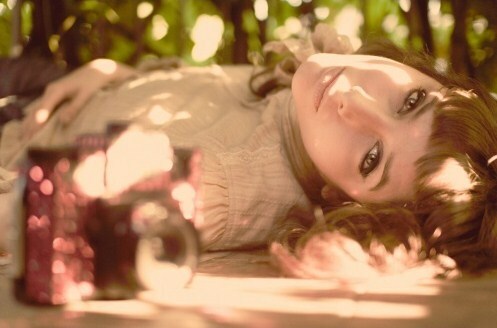 Oh such lovely summer photos! J'adore! I have been in search of the perfect mascara for a while, so I will definitely have to try that one out. And Chip Skip? This is a MUST try! I am absolutely obsessed with the Maybelline Colossal as well. Best mascara for sure!! 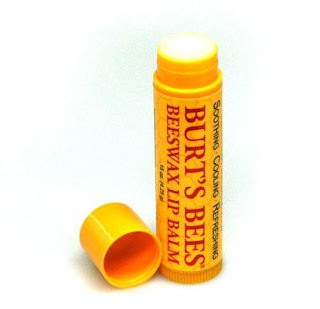 Burts Bees...a given for this girl too. Funny you should mention Aussie hair spray. I bought some last week. It was some sort of "high shine super hold" or some such? Let me just say...shiny helmet head ensued. Don't try that one :) I'll give the volume one a try! I love burts bees and aussie! Julie I love the Dove Body Wash too. I have the cucumber melon one and it is definitely a staple at my house. Thanks so much for sharing your list! I'm a fan of the Physicians Formula bronzer, too! My recent beauty product purchases include Kiehl's moisturizer w/ SPF 15, and this organic under eye cream from a company called iLike which I found at a hotel spa - it's AMAZING! I really want to try that Avon moisturizer. My boyfriend bought me Fancy for valentines day and I am obssessed as well! it smells so good and very feminine! love the products! great choices! I DIE for the model (at the top)'s turquoise nail polish! Any idea what color that is? I love Burt's Bees too. I have them stashed all over my apt and usually have at least 3 in my purse. Fun post Julie! I wish I could pull off red lipstick! This is my favorite lip gloss because it supposedly customizes itself for you: Smashbox O-gloss from Sephora http://www.sephora.com/browse/product.jhtml?id=P202004 AND it's not sticky like lots of other lip glosses. I have heard so many good things about the Avon moisturizer, I am going to have to try it!